Luxurious Hotel Style Beach Home! Stunning beach home in the desirable Village of La Jolla. 1 block from Girard and 2 blocks from Prospect come enjoy the restaurants, beaches, views, sunsets, and much more! This home has never been lived in and has been updated with designer finishes throughout, the photos speak for themselves! Stainless steel appliances, gorgeous flooring, large courtyard and sitting area, California King in both master suites with a pull out trundle bed in the guest room. Plenty of room for the whole family! The La Jolla lifestyle offers tennis, swimming at the cove, great gyms, coffee shops, shopping, and much more. 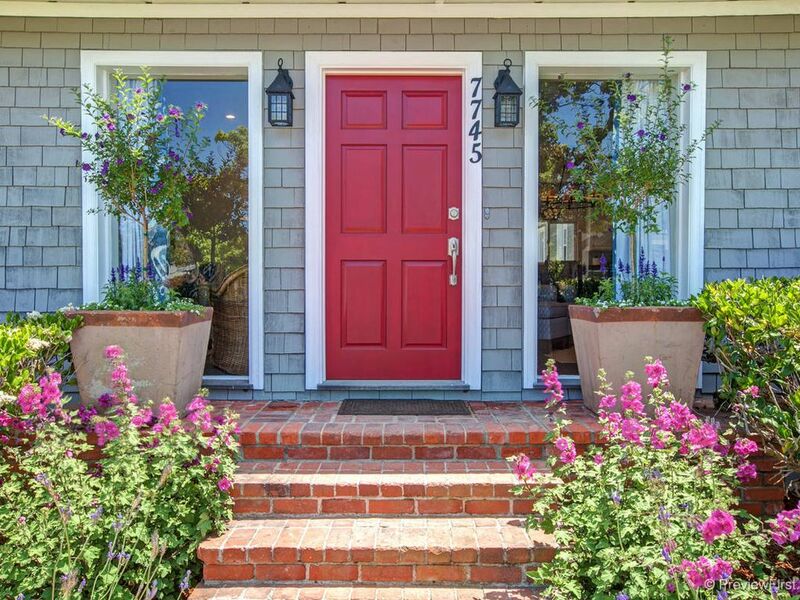 Walk to the beach, La Jolla Shores, windansea, restaurants, and more! Call today for questions and showings. This home will book up! I am the property manager for this beautiful home. I grew up here in La Jolla and enjoy helping to manage my families properties and help people build memories on their vacations. I enjoy Real Estate, Pilates, dinner with friends, reading Vanity Fair, getting a good massage and playing with my doggies. Always looking on the bright side and living for the moment. I love the Village in La Jolla because you can walk to all of the restaurants, shopping, bars, beaches, and more. It is a unique opportunity to get to really know the area. You can walk down the street and grab brunch at one of our many great restaurants. Ask me for recommendations on anything you may need! La Jolla only has a few streets that are mixed residential, office, and retail. This property is unique because you are really in the heart of La Jolla and there are very few single family homes this close to the action. Love it for a vacation home because it's great to be able to hang out, cook a meal, and spend time with family and friends relaxing yet you can still head to prospect for all La Jolla has to offer. Please plan on bringing your own toiletries. Bar soap, shampoo & conditioner, toothpaste, etc as these items will not be provided. Welcome to the Village of La Jolla, walk to restaurants, shops, prospect, the cove, and the beaches to enjoy beautiful sunsets and views! Location, location, location! We couldn't have asked for a better located home. Although it has great parking (a premium in La Jolla), we rarely needed our car. Everything (restaurants, entertainment, parks, the ocean, shopping) was within easy walking distance. The home was clean, well equipped, comfortable and and ideal for our family gathering. We would definitely return if given the opportunity. The La Jolla house was beautiful and so inviting. We absolutely loved our time there! The home was located in the heart of downtown La Jolla and walking distance to everything. Parking was easy too, as we could fit three smaller cars in the driveway and there was able free parking along the street. The home was so cozy that we didn't even want to venture out! The home was spotless, there were plenty of quality linens and the beds were all incredible comfortable. We would stay here again in a heartbeat and recommend it to anyone. Very nice house in a great location! My husband, son and I just spent 4 days in this cute house. It's very well portrayed in the photos. It was perfect for the three of us although there was one bedroom left unused and a couple twin beds so you definitely could fit more people. We found it to be very comfortable. The location is just wonderful! You can easily walk to restaurants and shops in La Jolla Village and to La Jolla Cove. Even with our 3-year old son in tow the walking was fine. We'd love to stay again on one of our future trips to San Diego. Thank you! Thank you so much Katy we would love to have and your family back again in the future and are happy you loved our home as much as we love it.